The Melton Constable Trust, the organisation behind the Norfolk Orbital Railway project, own sections of land on the former railway route between High Kelling, Holt and Fakenham. The first stage plan for the land at High Kelling, which is the section of land across the Old Cromer Road from the North Norfolk Railway station at Holt, is to put down a number of track panels, ballast and some rolling stock. 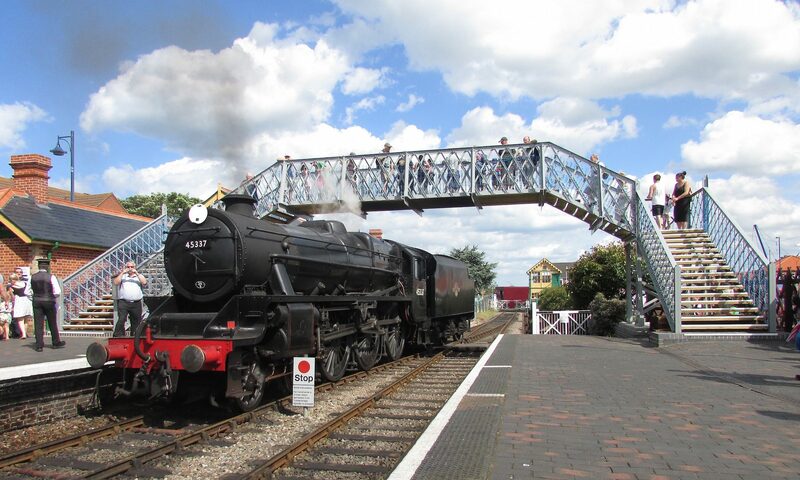 This will highlight to local people and visitors that this is railway land and rail is heading towards Holt town. 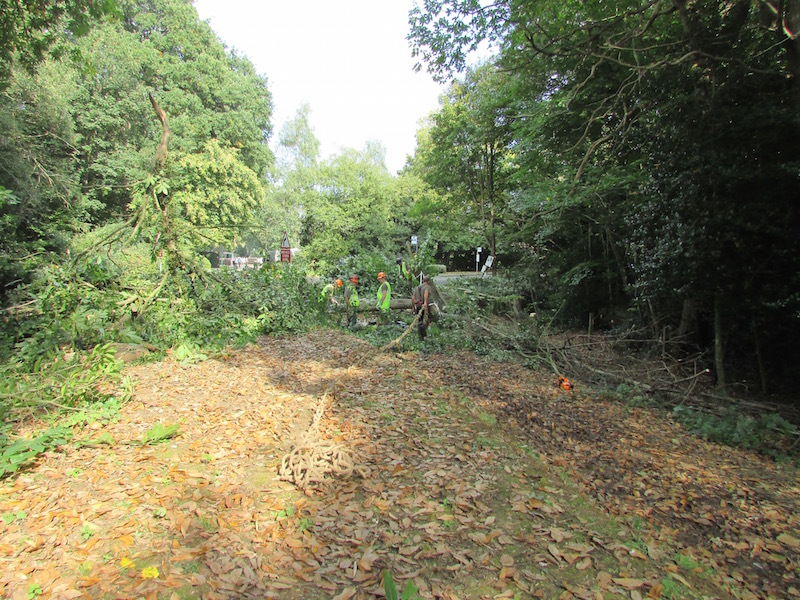 Last year the track bed was raised and has now settled and is ready to receive track, however before work can start some of the trees and overhanging branches required the attention of an arboriculturist (tree surgeon). 350 (Sherwood Foresters) Field Squadron, Royal Engineers part of 33 Engineer Regiment were contacted and they agreed to assist as part of a training exercise. 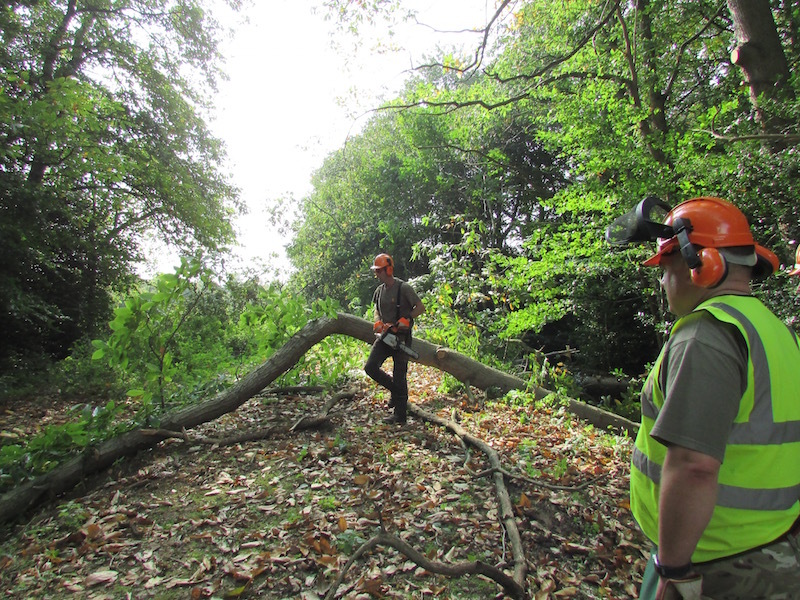 On Monday 25th September 2017, the five man team arrived on site and did some undergrowth clearance work in preparation for the tree felling. 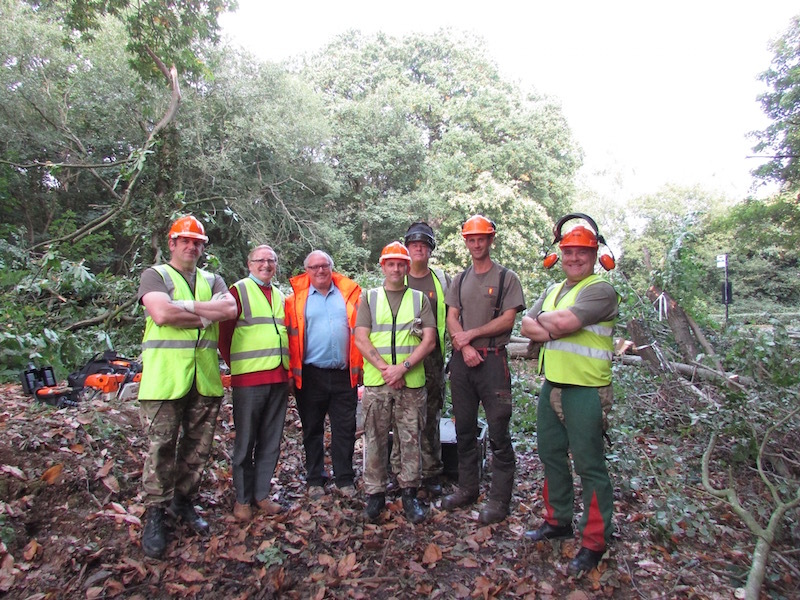 The following day they arrived early in the morning with two members of the Melton Constable Trust, Derek Haynes and Joe Penfold. 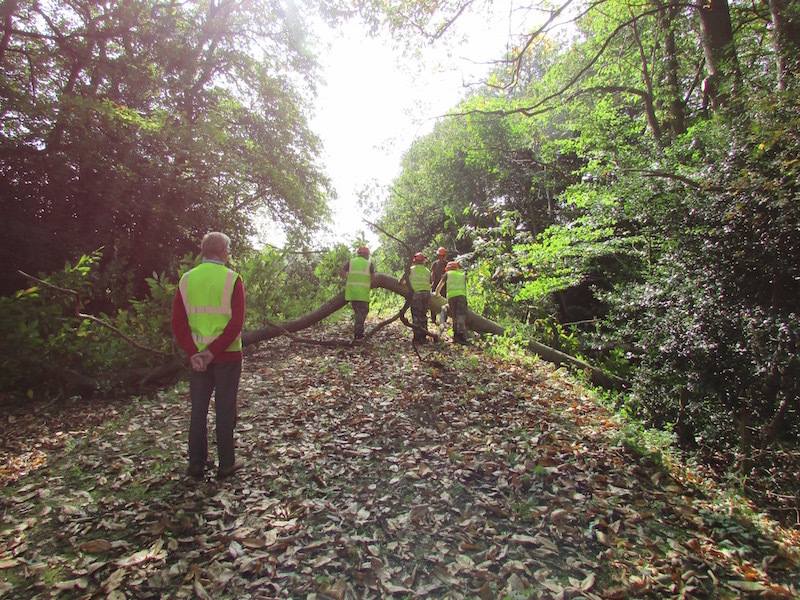 Some of the overhanging branches were adjacent to the Old Cromer Road and so once school traffic had passed, Derek and Joe managed the traffic with Stop/Go boards whilst felling took place. Once completed the team moved onto the trusts land to complete the operation.